Scientists have taken the first steps towards what they say could become a new blood and urine test for autism. Their study tested children with and without the condition and found higher levels of protein damage in those with the disorder. The researchers said the tests could lead ultimately to the earlier detection of the condition, which can be difficult to diagnose. But experts expressed caution, saying such a test was still a long way off. Autism affects behaviour and particularly social interaction but it is difficult to spot and is not usually diagnosed before the age of two, and often much later. Currently, there are no biological tests that can spot the condition, which is diagnosed through behavioural assessments by clinicians. For this new study, published in the Molecular Autism journal, researchers looked for chemical differences in the blood and urine of 38 autistic children and 31 children without the condition, all aged between five and 12. In those with autism they found higher levels of protein damage - particularly in the blood plasma - which they said were associated with ill health. Dr Naila Rabbani, from the University of Warwick, who led the study, told the BBC the tests could ultimately be used by doctors to diagnose autism earlier in childhood by detecting these markers. But she said the next step was to replicate the study's findings in other groups. She said: "We have the method, we have everything. All we need to do is repeat it. "I would really like to go forward with younger children, maybe two years, or even one year old. "Then the next step will be to validate in a larger cohort. Then the tests will be ready for screening." Dr Rabbani added that she hoped the tests could also eventually reveal some of the factors that cause autism and improve its diagnosis. However, other researchers expressed caution about the study. Dr James Cusack, director of science at the UK autism research charity Autistica, said: "This study may give us clues about why autistic people are different but it does not provide a new method for diagnosis. It is far too early for that. "We don't know whether this technique can tell the difference between autism, ADHD, anxiety or other similar conditions. The study also only looked at a small group of people. "The best way to diagnose autism is still through clinical interview and observation." 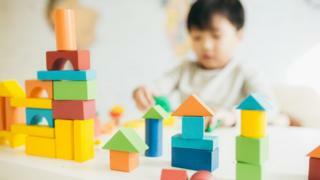 Dr Max Davie, from the Royal College of Paediatrics and Child Health, said it was a promising area of research but it was a "very long way indeed from a test for autism". "While we applaud the arrival of this interesting area of research, it is important that it is not adopted with too much enthusiasm - if applied to a large population it will produce large numbers of 'false positives', causing huge worry and potential harm to children and families."